Come and select your new trees or shrubs at our nursery. 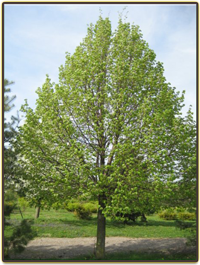 We offer a number of different varieties of trees including: small and large shade trees, ornamentals, and evergreens. There are also many different perennials, shrubs, deciduous shrubs, & groundcovers to choose from. Greenway Landscape Nursery provides landscape materials for delivery including: pulverized topsoil, hardwood mulch, dyed mulches, pool sand, decorative landscape stone, drive-way gravel, paver base, large river, rock, pea gravel, etc. We have a combined 60 years experience as certified landscape architects & designers. Let Greenway Landscape Nursery help you with your next landscaping project. Landscape architecture and design is just one of our many specialties, feel free to contact us for more information. Delivery and installation is available on any plant material purchases. Assorted varieties available Tree spades available from 32", 44", 60" and 90"
We support our soldiers who have given the ultimate sacrifice to defend the freedoms we enjoy in the United States. We will provide memorial trees for these fallen heroes. We have a large selection at discounted pricing. Please contact us for more information. For over 30 years Greenway Landscape Nursery has consulted customers, both commercial and residential, in landscape architecture and design. 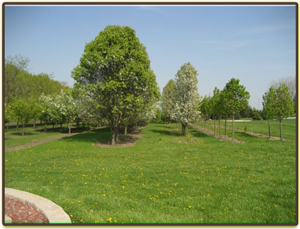 We have worked hand in hand with many landscape contractors, providing excellent quality ornamental trees, shade trees, and evergreens. We are also a certified distributor of Allan Block™ retaining wall systems and pavers. We can provide and deliver landscape materials in bulk for pulverized topsoil, decorative stone, hardwood mulch, pool sand, etc. Please take a look below for more information on becoming a wholesale customer of Greenway Landscape Nursery, Inc.
Prices are subject to change without notice. Quotes are good for 15 days. New accounts must submit an application for credit. This form is available upon request. All sales are on a cash basis until credit is approved. 25% cash with order & balance C.O.D. until credit is established. Plants purchased from Greenway Landscape Nursery, Inc. are in healthy condition at the time of pickup, provided pickup is accomplished in a timely fashion. Because of many conditions over which we have no control; e.g. proper handling, soil preparation, planting, watering, mulching, insect damage and weather, it is impossible to guarantee continued growth of plants. Plants purchased at wholesale prices have no guarantee. All claims must be made within ten (10) days of receipt of stock and must be in writing. No cancellations once plant material has been dug. Unless we have either a tax number, or a letter stating the stock is ultimately to be used by a exempt organization, we are required by law to charge Illinois Retailer Occupational Tax. We will dig material out of season. There is a 15% additional cost. If plants are dug out of season we can not be held liable for the continued growth of plants. Copyright © 2010 Greenway Landscape Nursery, Inc.